Cyber threats against individuals and businesses are evolving constantly. And as data becomes more and more valuable, the consequences of a breach in your system carry higher stakes than ever before. 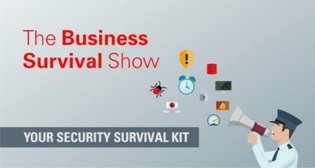 In this video, learn how Oracle’s “security survival kit” can provide the tools your business needs to negate cyber threats and ensure that processes are in compliance with the ever tightening regulations of today.